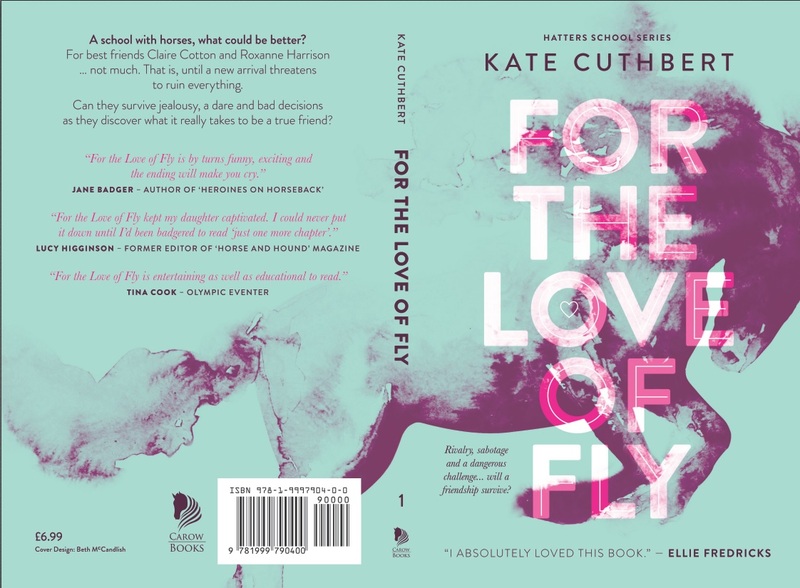 It's been a while since I did an interview, but knowing Kate Cuthbert had released For the Love of Fly has sparked me into action. The book's had a long journey to publication. When Kate first got in touch with me, a publisher had just decided that the mixture of horses and school wouldn't work for today's children. I worked on the story with Kate (and on book number two), and she's now brought it out as a paperback. Today, I talk to Kate about why she thinks combining horses and school does work, and on how she's got to publication. JB: Welcome Kate! It's good to have you on the blog. First things first: how did you start writing? I enjoyed writing when I was younger. I used to write stories set in a stable yard and I would draw out a map of the yard to go with it, writing a horse’s name into each little square that represented a stable. As I got older I followed a more scientific path, eventually gaining BSc and MSc degrees, and, because of this, I convinced myself that my writing was now ‘too scientific’. I felt that my style was too structured, too rigid to write fiction, so for years I wasn’t brave enough to try it again. Then, when my children were younger, I decided to give it a go again, mainly because it was something just for me. It gave me a little time to indulge myself and acted as an antidote to the endless round of toddler swimming, music and play groups that I was attending. I wrote the words for a picture book called Bette’s Pet before writing the Hatters series. Sadly, Bette’s Pet is now just filed away at the back of a drawer somewhere … it got me started though. JB: Tell me about your writing process – do you find it easy to get down to it? When I was at university I shared a house with a girl who found it very difficult to sit down and get on with her work. We lived in the cleanest student accommodation ever because cleaning was her favourite distraction activity. I am the opposite with my writing, I love writing and find it very easy to get down to it. My children know when I have been on a bit of a writing binge because they have no clean clothes to wear and there is no food in the fridge! JB: This is very unlike Badger Towers, I have to say, where there is no writing for quite disturbingly long periods of time. And not much cleaning either. When I do get down to it, I tend to stick to non-fiction so I can avoid the monster that is plotting. How about you? How do you plot? Do you do it as you go along, or have it all worked out before you start? I love a notebook. You can never have enough notebooks. My husband always jokes about my notebook obsession. I have a gorgeous pastel green one for plotting in. It’s A4-sized and I usually start by marking out twenty chapters across a double page. Don’t ask me why it’s twenty chapters; with the Hatters series my thinking always started with twenty chapters. The completed stories haven’t necessarily ended up with twenty chapters but they always started there. Under each chapter heading I write brief, and often very scruffy, notes about roughly what will happen in each chapter. These notes might only consist of one or two words but when I sit down and start to write they give me a rough guide as to the direction I am heading in. Things always change as you go along and invariably it takes me longer than predicted to get from one place in the story to another. Every now and then I’ll do a new layout of chapters and make revised plans for the forthcoming chapters. I will also fill in detailed notes for chapters that have already been written because I know exactly what has happened in them. I do this for no other reason than it is very satisfying. It is like writing a list of jobs to be done and adding one or two that you have already completed just so that you can tick them off straight away. JB: I'm with you on the notebooks. And am impressed at how you do things. So what was the result of the plotting – what is For the Love of Fly about? For the Love of Fly is about friendship; the ups and downs of friendships and riding the storm when things get tough. Ultimately, it’s about what it takes to be great friends, with a big dollop of horsey adventure thrown in for good measure. JB: And what made you want to write it? There is an old adage to write about what you know and this seemed sensible advice to follow as a newbie writer. I know about horses and I’ve experienced a school with horses, so from that point of view it seemed a good place to start. Equestrian fiction has an enduring charm and I think that this is true for writers as well as readers. JB: Did you worry you might be cutting down the market for your book by setting it in a boarding school? This is always a danger but I didn’t set out to write books about privileged girls for whom life is a breeze. I have tried not to make too much reference to privilege or money and I’ve tried not to write the characters as supercilious, pretentious or snobby because for me that is not what the stories are about. 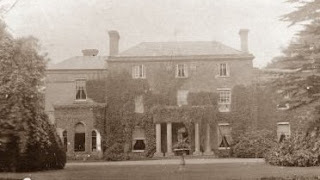 I’m not convinced that most children are negatively swayed by the stereotypical view of boarding schools, I think they are much more interested in a good story, with believable characters and an engaging plot. Parents on the other hand … that might be a different matter and only time will tell if the setting will influence their perception of the book. JB: Yes, that's true! As a child I lapped up Enid Blyton's Malory Towers, and Anthony Buckeridge's Jennings books, even though I was state school educated all the way. Perhaps it's the adult looking back from a very different perspective that means it's not so easy to persuade publishers to go for boarding schools for these days, unless it’s a fantasy school like Hogwarts. What made you want to set your book in a real-life boarding school where riding is on the curriculum? During term time the girls are with each other 24/7 in a boarding school so it gives a strong sense of place for the characters. It is a setting that also provides plenty of scope for the stories. If I want to write a scene early in the morning or at lunchtime or in the middle of the night, I can. I don’t have to wait until the characters meet at the yard the following evening or at the weekend for something to happen. JB: It's certainly a full-on environment! Do you think setting your book in a boarding school allowed you to look at other things you otherwise couldn’t? Like bullying in a world where you really can’t get away? The fact that the girls are together all of the time is quite intense, and even claustrophobic, at times, which provides a very interesting setting in which to explore their friendships. Certainly, Roxanne struggles with the slightly all consuming way of life in For the Love of Fly. On the flip-side, living together so closely means that the girls get to know each other very well and this can make for a very supportive environment when life gets tricky. JB: Do you think your characters would have acted differently if they’d been at a day school? Possibly. I think that the friendships would still have been tested in the same way but maybe the emotions wouldn’t have bubbled away as they did at Hatters because the girls would have gone home at the end of the day. This break from each other might have been enough to calm them down. 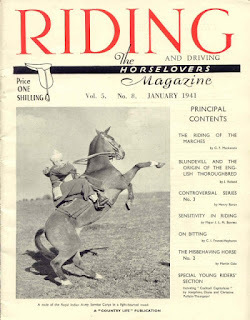 Writing For the Love of Fly with the girls at a day school also wouldn’t necessarily have given them the opportunities to behave in the way they they did and get up to the antics that they were able to with the horses so close at hand all of the time. JB: What part do you think the horses play in the world of your book? The horses provide a focus for the stories, something in common that gives the characters a reason to be together. I could simply have just written them as classmates or they could have all been musicians or members of the same football or netball team but I like horses, I know horses … so horses it was. I also loved writing about the horses; they have their own personalities as much as any of the girls or members of staff. JB: I did enjoy the equine characters in your book, and the people too. There was one in particular who stood out for me. When I was editing the book, I wondered if any of the characters you'd created surprise you as you wrote the book? I’ve heard other authors talking about characters having minds of their own and it does sound a bit bonkers but they do. 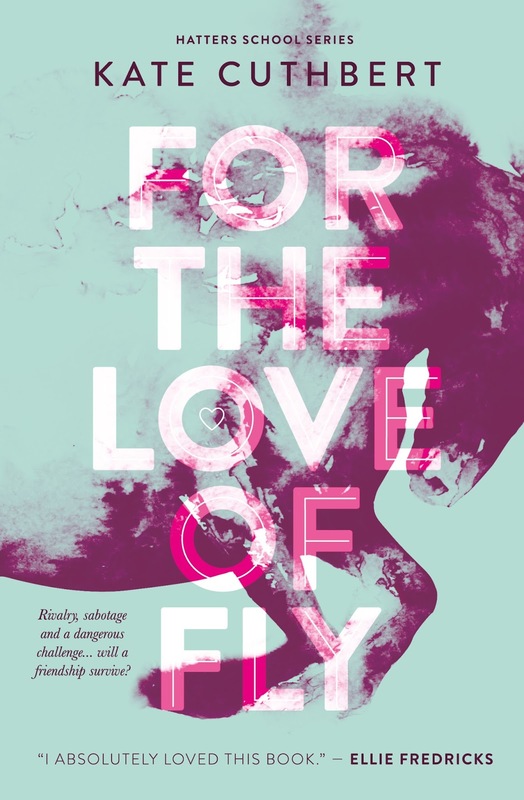 In For the Love of Fly I sometimes found that I’d written several pages and then wondered how on earth I’d got to where I was because it wasn’t where I was supposed to be. It was usually down to one of the girls having gone off on their own tangent without me noticing. Roxanne was a horror for it; she was a real troublemaker, particularly in the early days. I often found her doing her own thing and she and I had many a discussion in my head about the way forward. Sometimes I won, sometimes she did. JB: I thought it might have been Roxanne! She is a fantastic character, and she's certainly lived with me. I'm glad she's now out there for the rest of the world to experience. So how have you found the process of making your book into a POD (print on demand) book? I would be lying if I said that there hadn’t been tears and raised voices along the way. My husband and mother have been very patient! I knew nothing of the publishing industry before I started and it has certainly been a very steep learning curve but, somehow, when you hold the first copy of your book in your hand or the first person comes up and tells you that they like what you’ve written then it all seems worthwhile. JB: I can certainly sympathise there! It is quite a process - are there any tips you'd like to pass on to anyone else thinking of launching into publishing? My first tip would be to be persistent and resilient. It can be tough when you have no idea what you’re doing but if you can stick with it the sense of achievement will be very rewarding. A friend of mine once told me that the tougher something got, the more worthwhile it became and I like to remind myself of that every now and then. My second tip is more practical. Think about the skills that you don’t have and about your budget and, bearing these two in mind, engage the professionals that you need and can afford to make your book what you want it to be. For me, I couldn’t have produced For the Love of Fly without a story editor, copy editor, typesetter and cover designer. The more professional the end product looks the more satisfied you’ll be and the more likely it is to sell. JB: So now you've done the whole process from start to finish, do you have any plans for any more books? Yes, definitely. Books 2, 3, 4 and 5 of the Hatters School series have already been written and are all at various stages of the publishing process. I have lots and lots of ideas for other books as well. Too many ideas and not enough time! Maybe, when life allows it, I’ll take my notebooks and go and hide away in a little shed on some lonely hillside somewhere and try to get them all down. JB: Good luck – I'll look forward to reading them as they come out! So if you're not writing, what else fills life up for you? I’d like to say that I have a yard full of exciting young stock that I am bringing on to be the eventing and racing superstars of the future but sadly I don’t. What I do have is a husband and two sporty children who keep me very busy. I seem to spend most of my spare time standing at the side of some pitch, pool or arena. What I don’t do enough of is riding. I’d love to find the time to do much more. Maybe I’ll take a horse with me when I go and stay in that shed on a hillside! JB: Thank you very much, Kate. Please keep in touch and let me know how it all goes. I'm absolutely delighted to hear that further books are in the pipeline already! My daughter and I raced through For the love of Fly, and really enjoyed reading it. There is definitely a market for horsey boarding school stories in this house. The attention to realistic horsey details and routine weren't lost on us either. I'm so thrilled that you and your daughter enjoyed reading For the Love of Fly. The characters have been such fun to write and over the course of the series, the girls and I have become very close. I can't wait to get the other books out there. I hope you and your daughter enjoy them as much as Fly.